Two goals in the space of seven first-half minutes gave FC Bayern München a comfortable 2-0 win over Hertha Berlin on Matchday 14. Martinez appears to be back to his best following a serious knee ligament injury. The Spain international made light work of his bread and butter defensive duties and got forward on more than one occasion to lend his refined expertise to Bayern’s attacking endeavours. Bayern lined up without the services of Douglas Costa, Thiago Alcantara, David Alaba and Arjen Robben, but it mattered not once the whistle sounded. Never before have the record Bundesliga champions been blessed with such strength in depth from back to front. 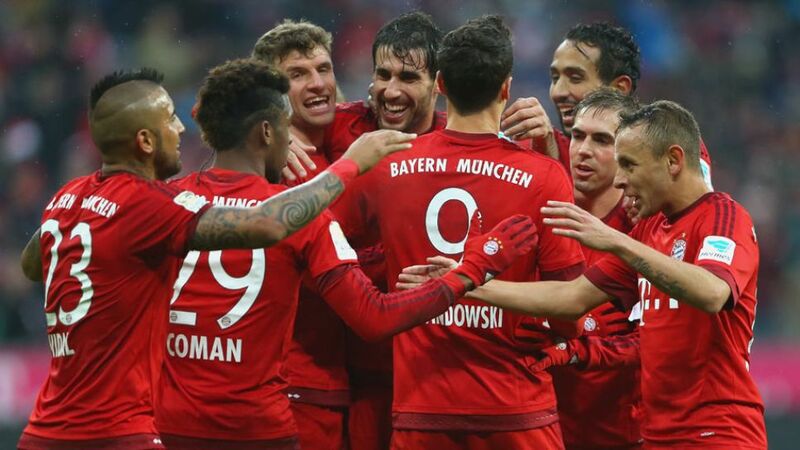 Bayern’s opening goal was their 2300th in the Bundesliga on home soil.Müller is now on 13 Bundesliga goals. He has never scored more in a single season.Xabi Alonso and Vidal saw more of the ball combined than the entire Hertha team in the first half.